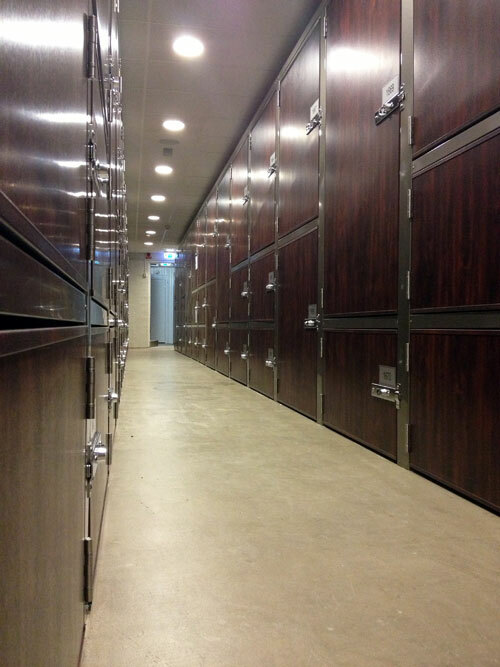 Storage Future were approach by SelStor to design a bespoke range of wine storage units and lockers to be installed in their Kungsholmen self storage facility in Stockholm. 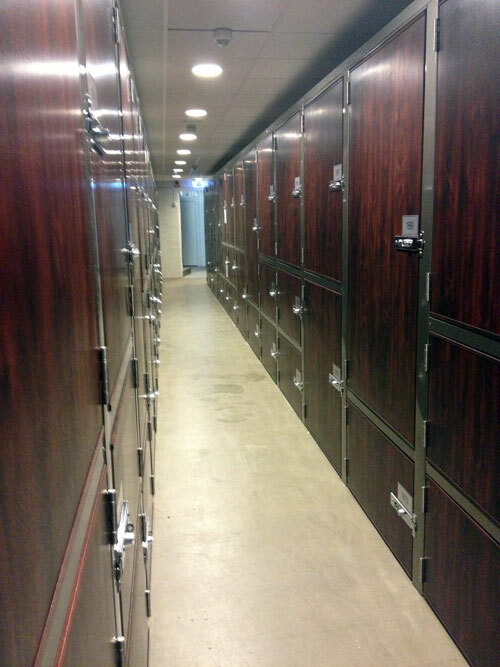 Storage Future had already fitted out in excess of 400 “traditional” self storage units and lockers over 3 levels in this facility and the wine lockers were to be installed in a specially constructed, temperature controlled environment on the lower level. 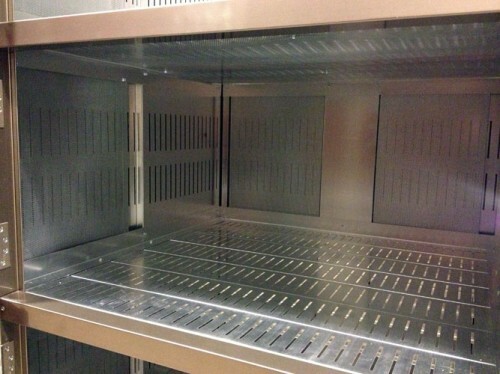 Extensive research was undertaken by Storage Future to make certain that each wine locker variant was the optimum size to store the maximum number of wine boxes.Further research was undertaken to ensure the construction materials for shelving were robust enough to cope with the anticipated additional weight. 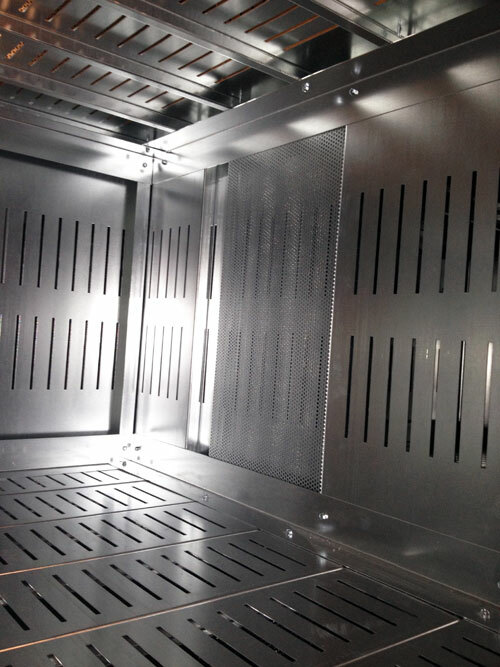 Special consideration was afforded for the need to allow chilled air to circulate through the wine storage units.This was achieved by constructing the internal panels and shelves with perforated steel. 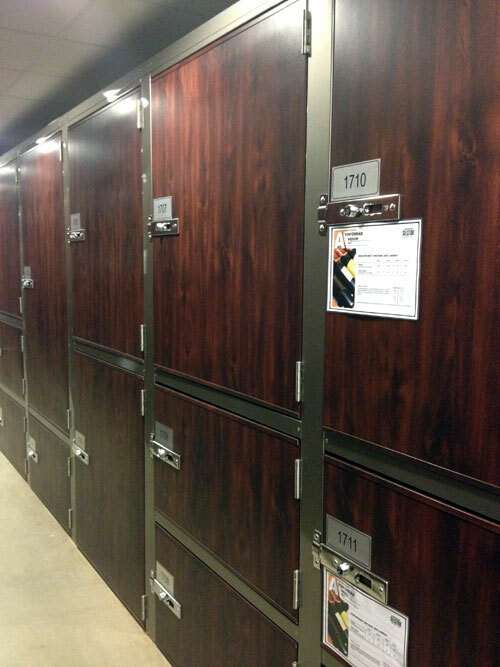 Finally, SelStor wanted to create an upmarket feel to the units and lockers by improving their visual impact from the normal self storage look. 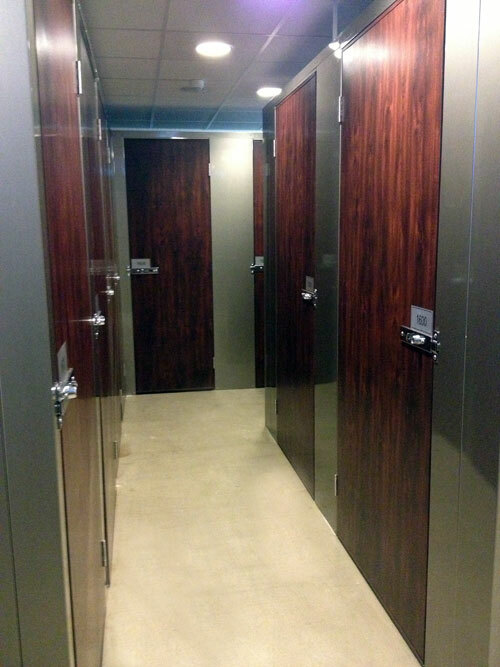 Wood grain effect steel doors with upgraded hinges and locks along with brushed steel effect corridor panels were used and the end result was stunning. Wine storage units & lockers design and project management.